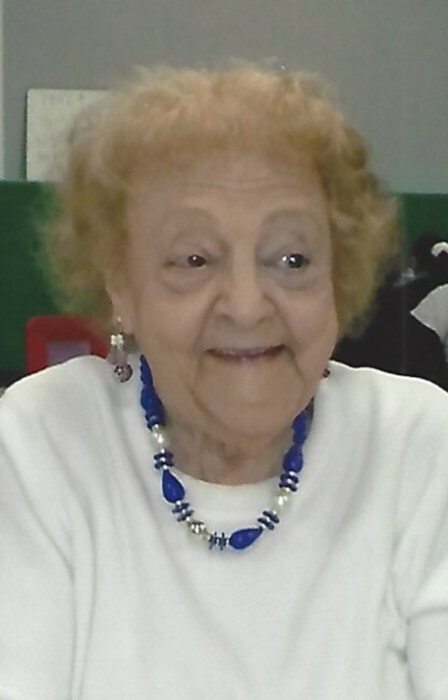 Marjorie Rita Carroll (nee Harcher), 96, of Burton Twp, passed away peacefully Tuesday evening, August 28th, 2018 at Briar Hill Healthcare Residence in Middlefield. She was surrounded by her loving family. Marjorie was born in Cleveland, OH on December 3rd, 1921 to the late John V. and Mary (Daczko) Harcher. She is once again reunited with her loving husband, Alex R. Carroll, who died April 1st, 1978. She will be missed by: daughters, Georgia Klemencic, Rosemarie Steffek; grandchildren, Marsha (Gary) Wasson, Meredith (David) Kronenberg, Richard S. Klemencic II, John (Robin) Barcikowski, Jason (Martha) Barcikowski; great-grandchildren, Ian, Alex, Richard III, Benjamin, Wade, Jackson, Jacob, Carolyn, Ora, Ellie, Vera; and many friends. Marjorie is preceded in death by: her parents; husband, Alex; 2 son-in-laws; 2 brothers; and 1 sister..
A MEMORIAL MASS WILL BE HELD AT 11:00 AM, FRIDAY, SEPTEMBER 7th, 2018 AT ST. HELEN’S CATHOLIC CHURCH, 12060 KINSMAN RD., NEWBURY, OH 44065. Please meet at the Church. Family and friends will be received from 6:00 - 8:00 PM, Thursday, September 6th, 2018 at Best Funeral Home, 15809 Madison Rd., Middlefield, OH 44062.